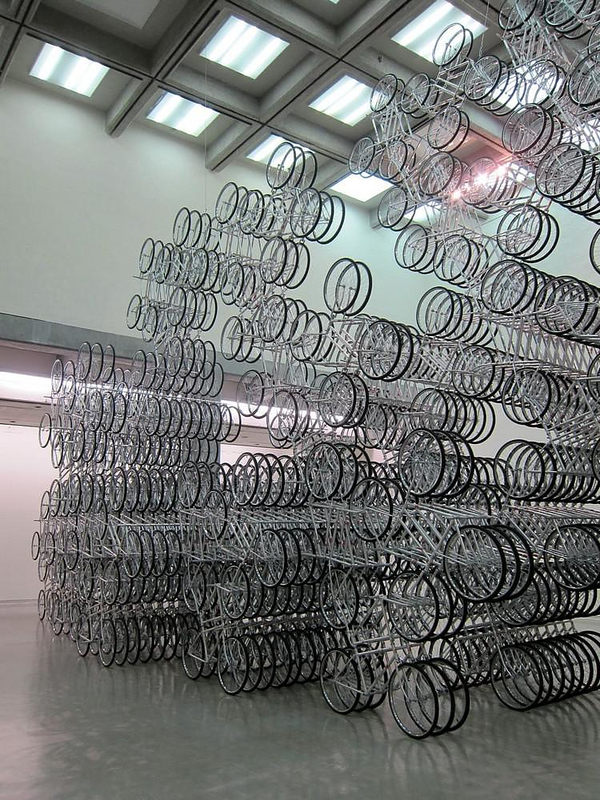 HomeBlogArt“Forever Bicycles” an art installation by Ai Weiwei. 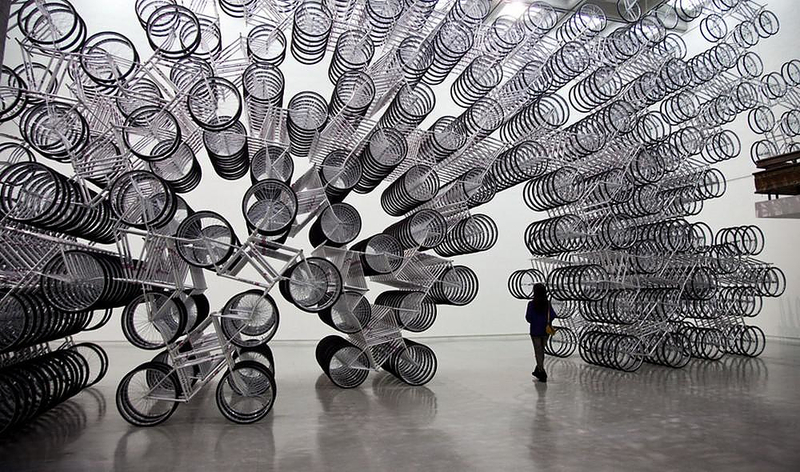 “Forever Bicycles” is an art installation by the most famous living artist of China, Ai Weiwei. It is a unique project especially made for the Taipei Fine Arts Museum (TFAM) and completely constructed in New York. 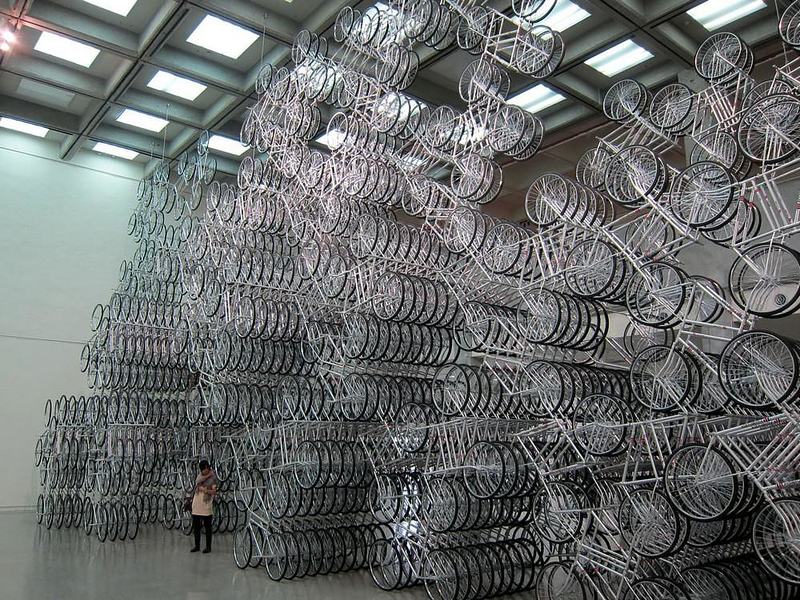 This sculptural piece puts together more than 1,000 bicycles, frames and tires and takes up the main hall of the Taipei Fine Arts Museum. Some of the bicycles are hanging from the ceiling and some are standing upright on the floor in a row. The bikes have no handlebars nor seats. 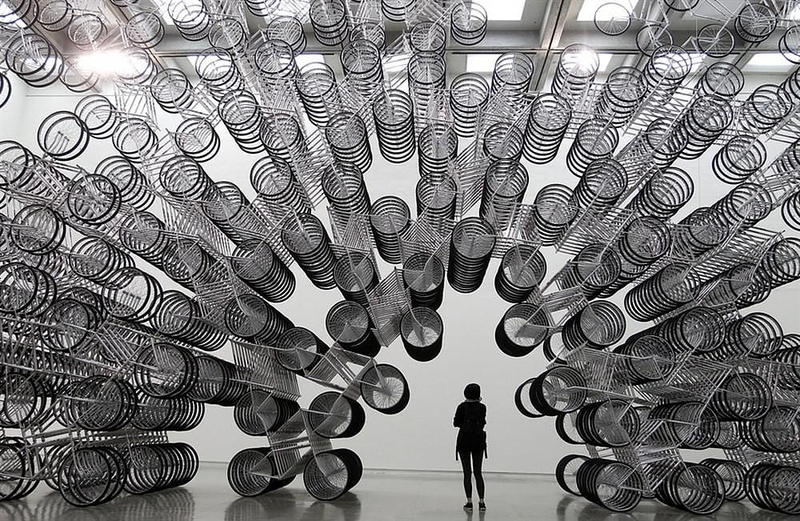 Instead, they use those parts of the frame to extend upwards and outwards to connect to other wheels and frames and create the illusion of a labyrinth-like space in a three-dimensional area. 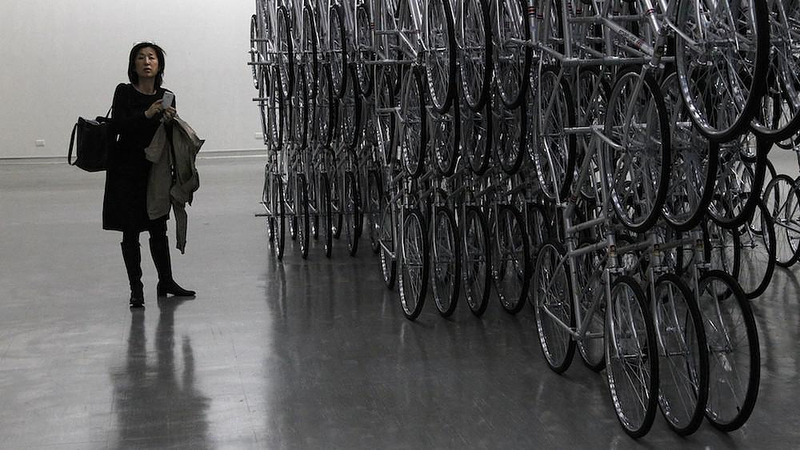 Walking in from the initial part of the exhibition where previous works of Ai Weiwei are housed, attendees can enter to see a towering cluster of bicycles lined up meticulously and in many symmetrical layers. 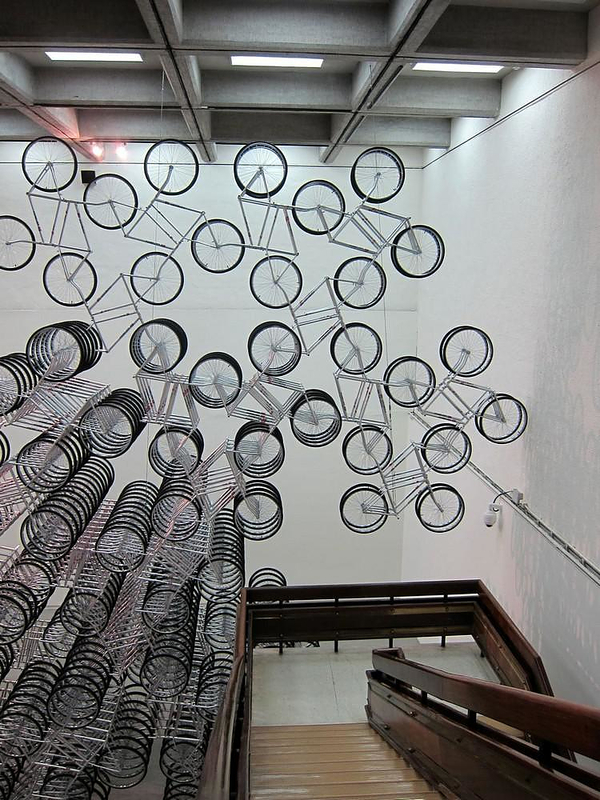 As one enters the room, the angles of the perfectly aligned sculptures shift according to the viewer’s location, perspective and point of view, causing the “Forever Bicycles” artwork to stretch and shift with every step. 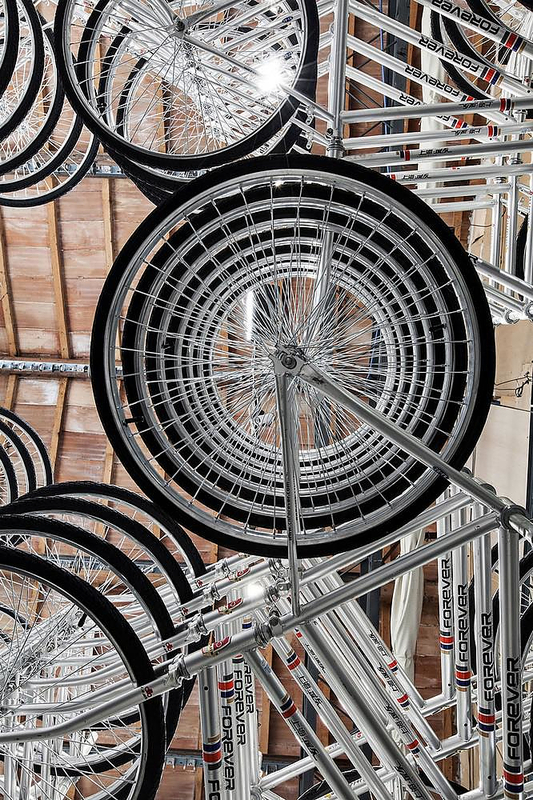 The bicycles are installed at the highest point of the museum, nearly 100 feet in height and in this way the sheer quantity of bikes allows this most functional of objects to take on an abstract quality when viewed from a variety of different angles. 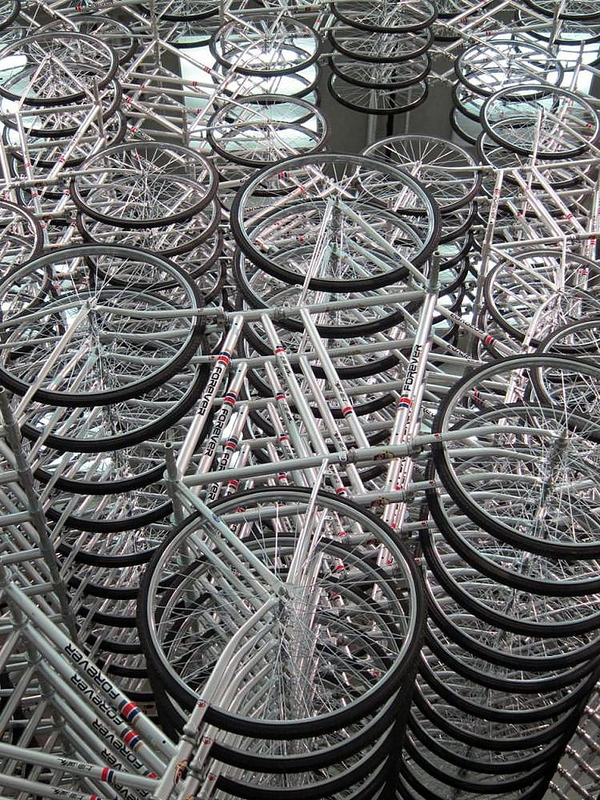 Using the sheer size, number and fluctuating movements of the art installation, Ai Weiwei intends to represent his home country where bicycles are the most common mean of transportation. He also wished to symbolize the ever changing population and landscape of China. 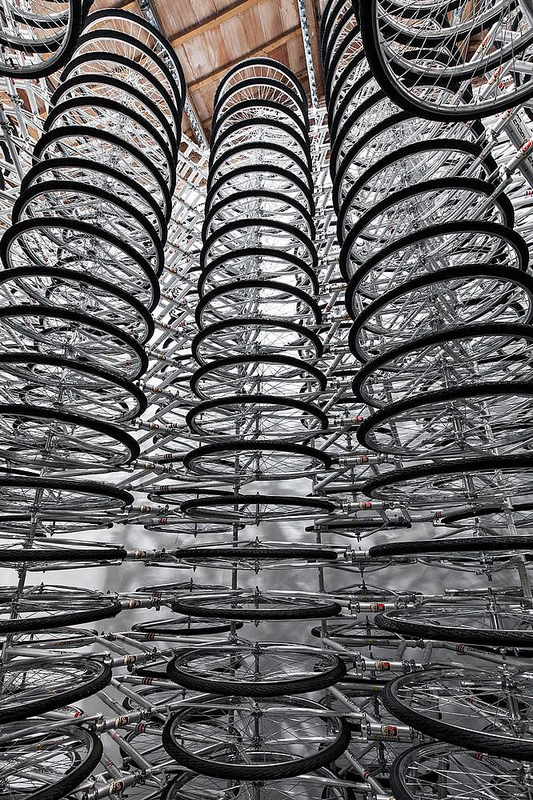 Weaving through the maze of bikes gives the viewer a sense of energy and wonderment. 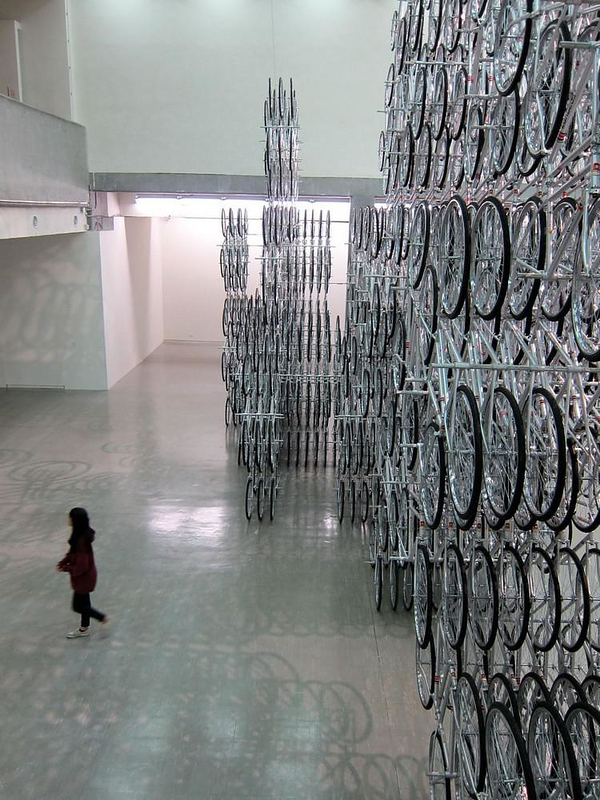 The “Forever Bicycles” exhibition, was accompanied by the artist’s retrospective exhibition entitled “Absent” because Ai Weiwei was not allowed to travel and be present at the show in Taipei. 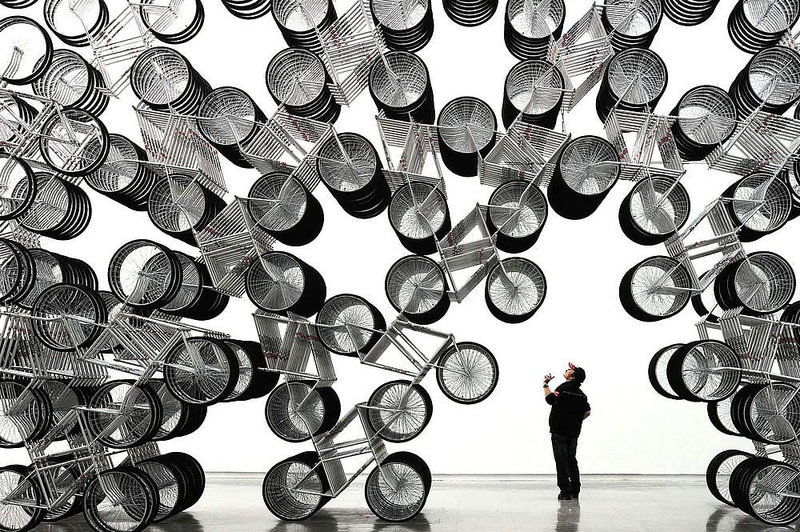 Ai Weiwei is a prolific Chinese contemporary artist, active in many fields such as sculpture, installation, architecture, curating, photography, film, and social, political and cultural criticism. Ai Weiwei was the artistic consultant of the Beijing National Stadium for the 2008 Olympics. As a political activist, he has been highly and openly critical of the Chinese Government’s stance on democracy and human rights.